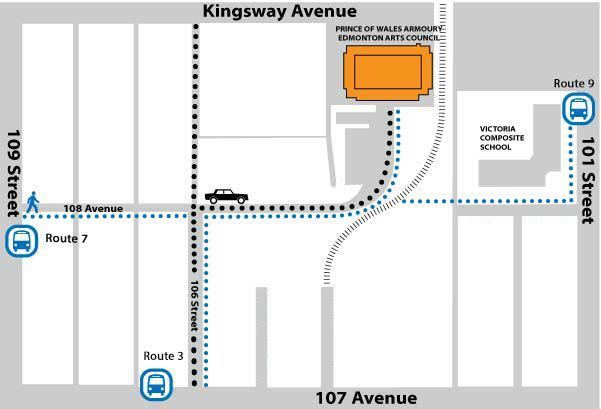 Due to the LRT tracks on 108 Avenue, vehicles can only access the parking lot from 106 Street. For a detailed map of the access points, please click here. Effective as of August 28, 2018, the front doors of the Prince of Wales Armouries building will be locked at all times. Please buzz in to enter using the doorbell on the left side of the main entrance and let the building administrator know that you are here to visit the Edmonton Arts Council.